Children’s LEGO Creations for LEGO loving children! 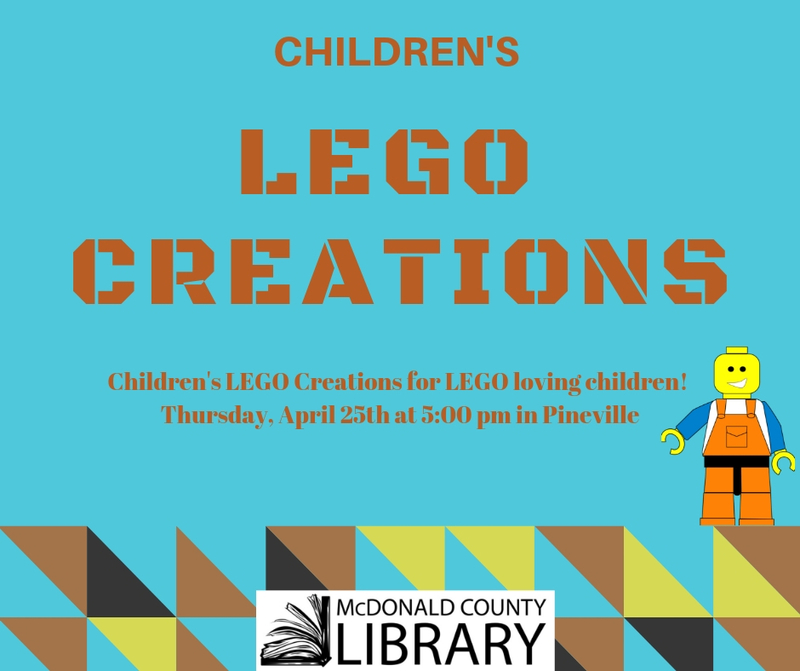 LEGOs, Duplos, and Megablocks are all provided, children and their parents/caregivers are encouraged to create something special. 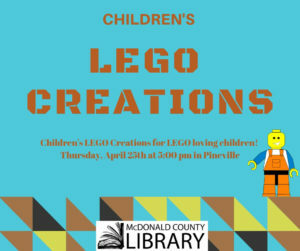 All programs at the McDonald County Library are free to attend. Toddlers, preschoolers, and elementary age children are welcome.